No, really. I’ve been eating a lot of ramen at places I’ve been to several times and always felt I didn’t need to write about them. But now, I think I should. We all have those restaurants, bars, etc., that we have as our “go-to’s.” Sometimes you may find the best bowl of ramen or whisky cocktail that when you go back, you expect it to taste just the same as the first time. Consistency of a restaurant is important to know. So here is a status update of a few restaurants I’ve revisited. To be honest, Orochon is one of those places that is hardly consistent. With my experiences, at least. Some days I’ve gone, they’re great, but most times, I’ve been disappointed. I went there a few months ago with a friend, and their pork just didn’t taste right to me. I’ve made this complaint a few times before in past blog posts, but the pork tasted like it was a few days old. Although they are known for their spicy ramen, I’ve had better spicy ramen elsewhere. Orochon is one of those places that you can’t help but want to give another chance and I find myself going back all the time. They’re doing something right but I can’t seem to put my finger on it. 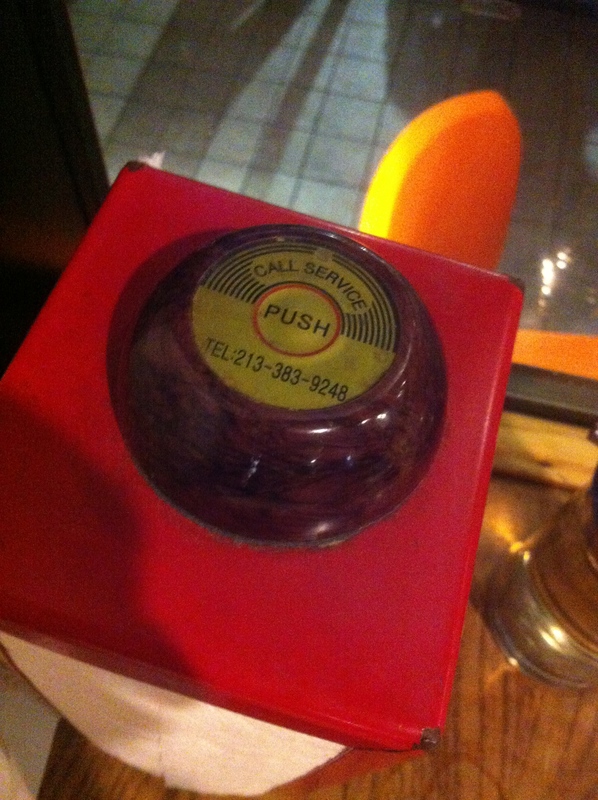 I also discovered they had a cool push button thing on their napkin holders to ask for a server to come to your table. 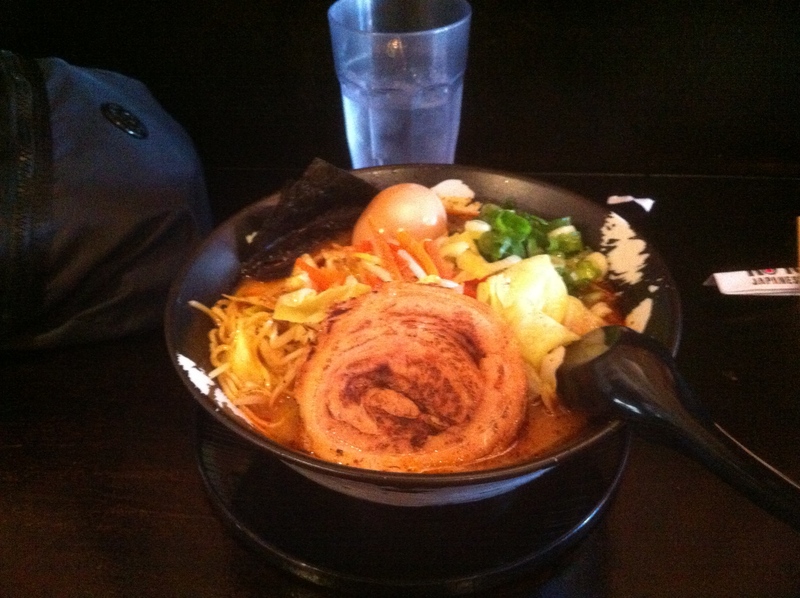 Speaking of spicy ramen, I still go back to my one true love about once a month… Kotoya. Still, the best place for spicy ramen and chashu! Oh man, that chashu… I seriously drool at the thought of that chashu. My friend, Max, who introduced me to Kotoya, goes there as much as I do and pointed out that the spiciness at Kotoya has not been consistent. Level 2 will either be too spicy (like level 3 spicy,) or not spicy enough. I must have gone on good days though because I haven’t noticed the inconsistency. Regardless, Kotoya’s broth is amazing and I’d go there any day I’m craving spicy ramen! During my last week working in Pasadena, I met up with an old high school buddy, Griff, at Silverlake Ramen during lunch hours. I have to say, this place has consistency down. I ordered their tsukemen and my friend ordered the vegetarian ramen (which I asked to have a quick taste,) and they were both just as amazingly delicious as the last time I’ve had them! their broths are amazing and all the fixings are made just right. The noodles were great, the crispy-on-the-outside-tender-on-the-inside chashu was perfect, and everything else that came with it complimented the dish just right. 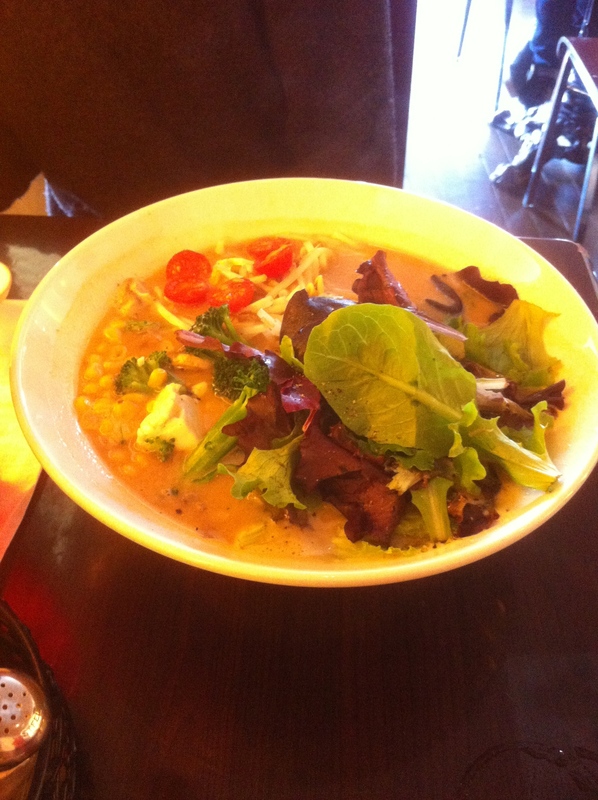 AND Silverlake has the best vegetarian ramen around. 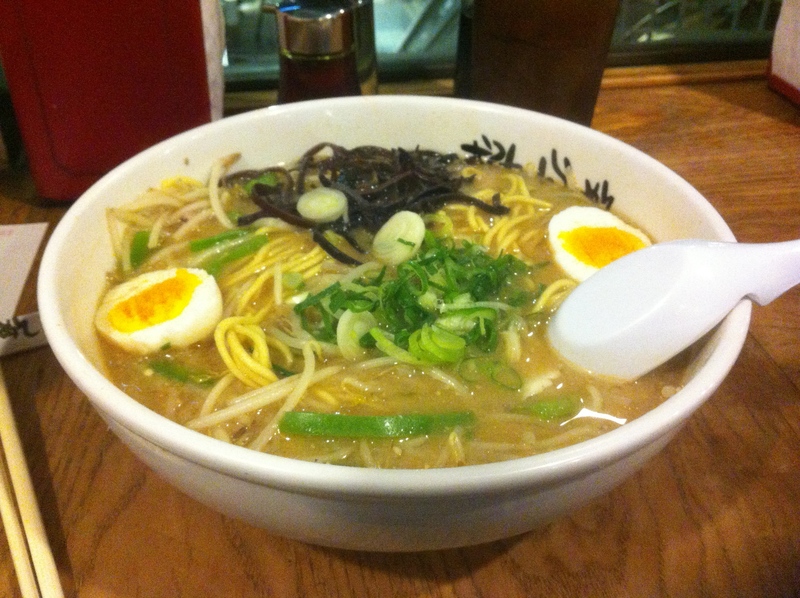 The broth is rich and flavorful and all the toppings were a great combination! I didn’t initially have plans to attend the Shinsengumi anniversary ramen sale back in March, but I went anyway with my friend, Angie, who lives out here in West LA. 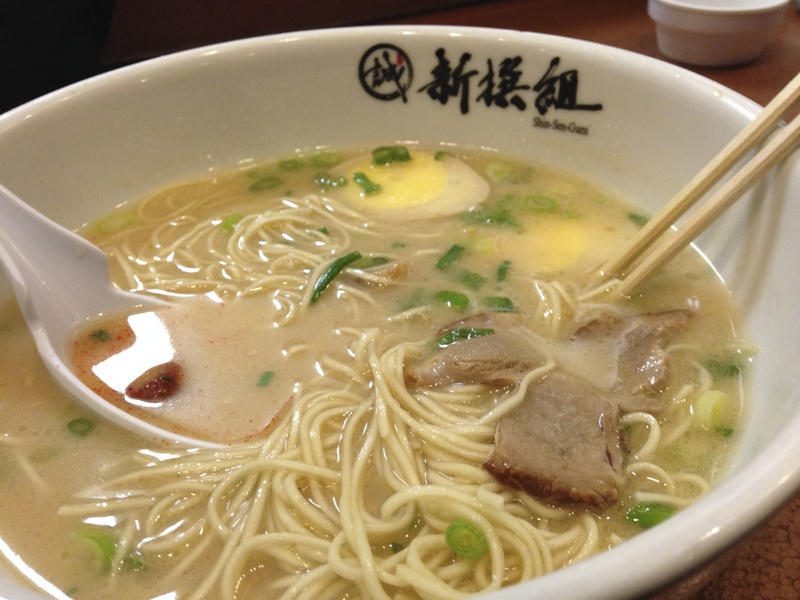 A new Shinsengumi had opened up on Sawtelle Blvd. several months ago and she and I went there. For the price that the ramen was, $3 a bowl, it was pretty awesome. I had gone here around the time it first opened, and I was impressed at the fact that the ramen had not changed. Some places I’ve been to skimp on their menu items when they have sales, but Shinsengumi’s $3 ramen was as great as it was when it was $7. Kudos to Shinsegumi! 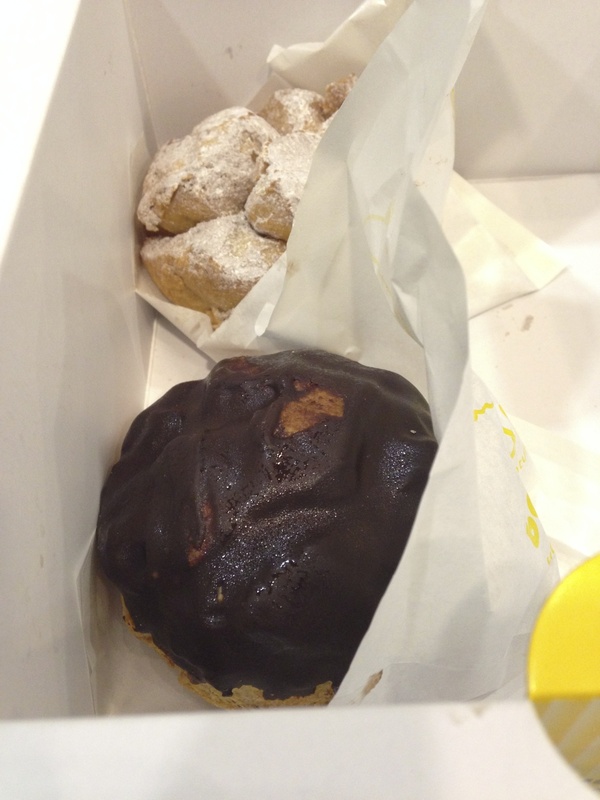 After Shinsengumi, Angie and I splurged on some cream puffs from Beard Papas, at Little Osaka, near the Nijiya Marketplace. And yes, we made a pit stop. The cream puffs were mouth-watering good, by the way. Well, I hope you will find this blog post helpful if you ever plan on visiting these places! Remember, these are based on my opinions and I strongly feel I have good taste in food… Haha. Seriously, every place is worth a second try, or third, or more. But there are definitely some places I wouldn’t go back to after the first time. I owe a few more posts but they’re all being drafted and will be published throughout this week. Stay tuned! 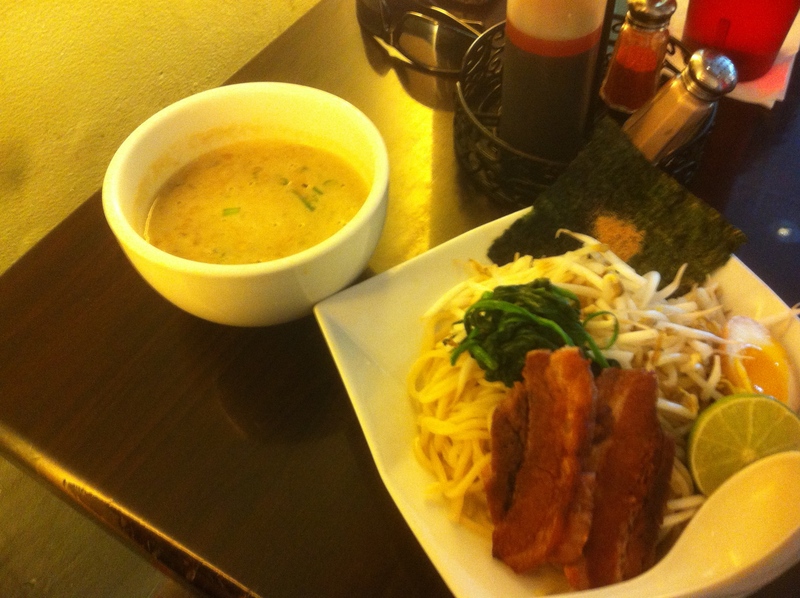 This entry was posted in Foodie, Ramen, Ramen Run, Restaurant Review. Bookmark the permalink.